Scatteria is a 2d platformer shooter based on post-apocalyptic environment. 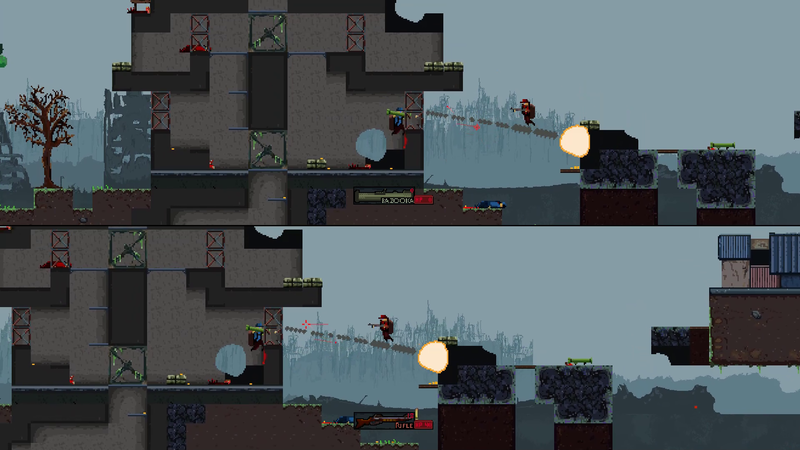 It is inspired by games like Liero, Worms, Soldat and many more. If you enjoy beating your friends in local splitscreen, you are going to most likely enjoy Scatteria! Current version has up to 4 players splitscreen. Current version is 0.11 aka "Public Splitscreen Demo (bug fix)"
No official single player still. Future there will be singleplayer and multiplayer over tcp/ip. 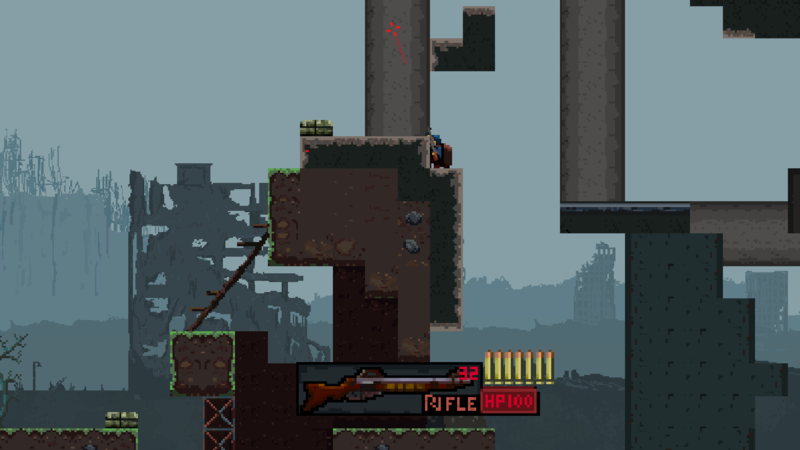 Plus many weapons/levels and features. So stay tuned! You can wishlist Scatteria on Steam! ps. 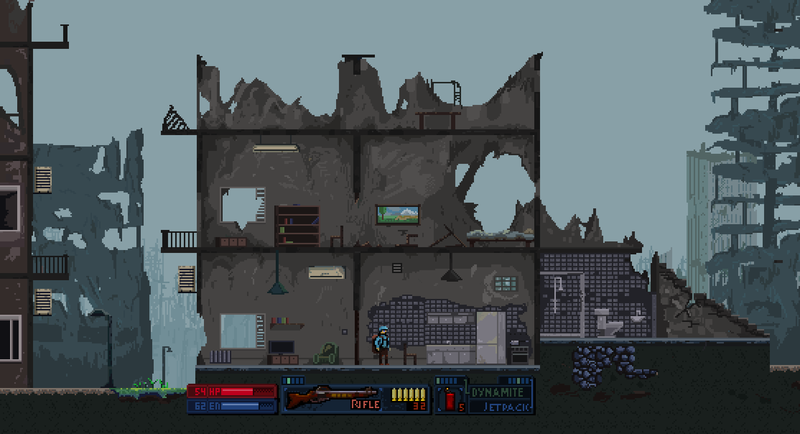 You can support the game development by sending me donation. 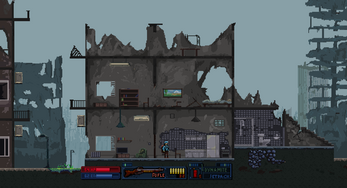 If you donate the $8,99 or more, I will send you the steam key via email when the game gets published. 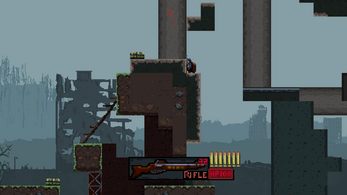 -Shooting ground & tutorial level, with a robot target to shoot! -Some small effects to add "juicy"
-Changeable keys menu disabled to avoid the mess with controllers again. Its raining! 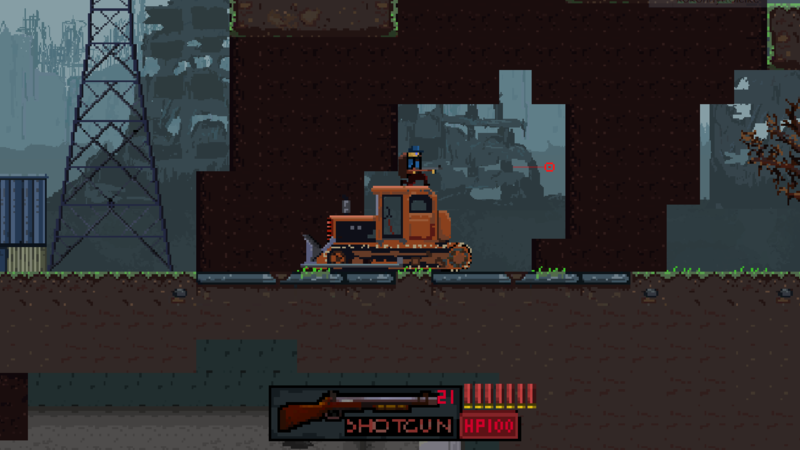 and new weapon, pistol! Scatteria finally available to wishlist on Steam!